On April 30, we celebrated "Del Dia Del Niño", the Day of the Child. This is a day to honor the inherent rights that all children have. 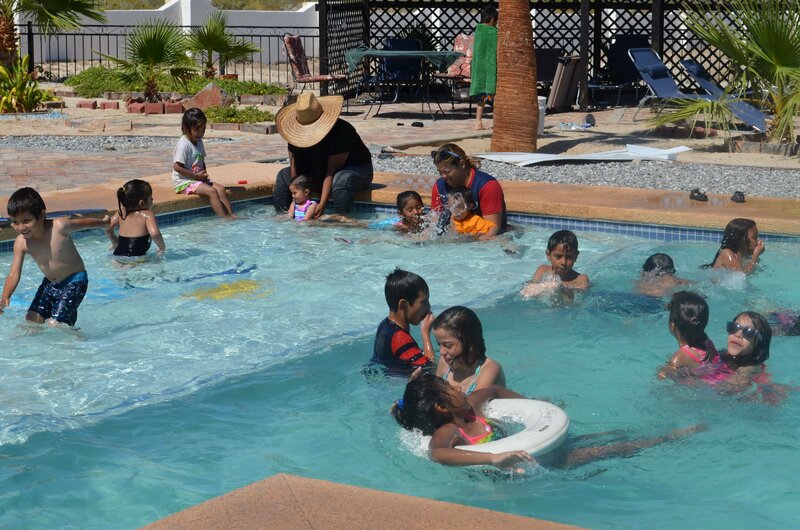 It is why Sonshine Hacienda exists -- because we believe that all children have a right to life, health, education, affection, protection and a safe, positive, nurturing home free from violence, drugs or abuse of any kind. Traditionally on Del Dia Del Niño, children wear new outfits, break piñatas, eat cake and similar festivities. Thanks to the help of friends, our children got to do all of these! 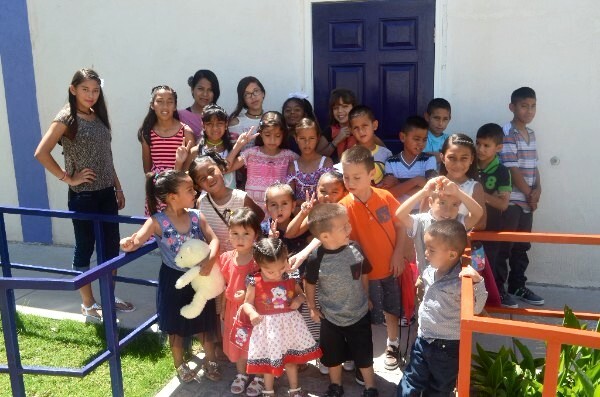 Last week, the Padrinos ("godparents" who work in the community) visited, bringing along gifts of new clothes and shoes that the kids could wear on the 30th of April, and a piñata brimming with candy. And thanks to Bob and Gloria Mater, local friends who provide us with a birthday cake on the last day of every month, we also had a huge dessert to share. Sonshine Hacienda would not exist without all of you. Your support, your prayers, your gifts, your hearts enable those of us who are "on the ground" to be your hands and feet, ensuring that every day is a day that honors the rights of these children. Easter and Holy Week coincide with Spring Break, both for our kids and for our visitors. Our kids had two weeks off from school, giving us ample time to celebrate. 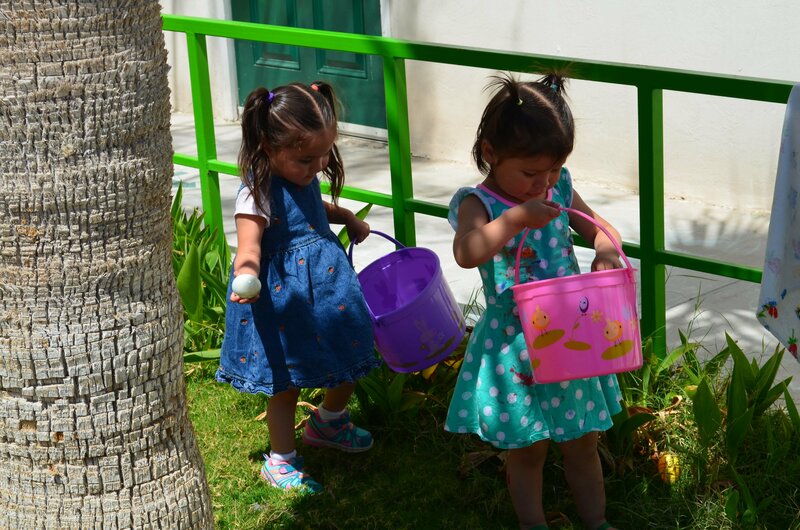 The older children took turns leading devotions in the mornings, walking through the Stations of the Cross, coloring and painting crosses and empty tombs, beginning to plant the seeds in the younger ones that Easter isn't just about hunting eggs and eating chocolate. We were also blessed by several high school and college-age visitors from various parts of California who helped run off all that extra energy, because we did in fact hunt eggs and eat chocolate! 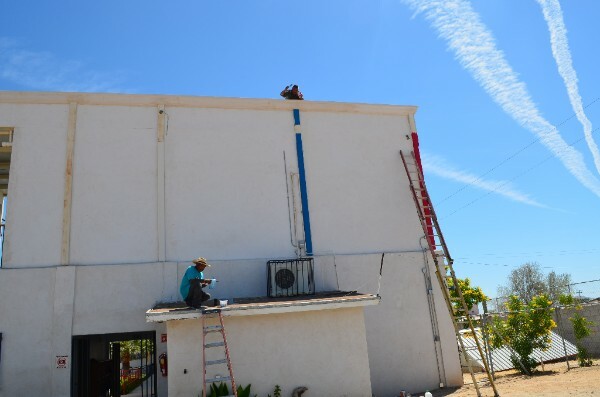 Sonshine Hacienda is getting a face lift! After 5 years it was definitely time for a fresh coat of paint. We thought -- if we have to paint anyway, why not add a splash of color? So the next time you come to Las Minitas, you won't be looking for the "big, white building" on the left, you'll be looking for the one with all the beautiful colors. A huge thank you to Papa Pablo and Papa Bernardo for their hard work! Director Gary and Administrator Imelda took a week-long course in Mexicali last month, and one of the things they discussed with administrative staff from other Casa Hogars was how to improve behavior. Everyone liked the idea of focusing on rewarding positive behavior rather than focusing on punishing poor behavior. So the first "reward" for a week of good behavior was a trip to the swimming pool! We are all looking forward to this new focus and the fun times ahead. Or donate online via PAYPAL. Find a link on our website at: www.sonshinehacienda.org. WE COULD NOT ACCOMPLISH OUR WORK WITHOUT YOU!